Jean Grey's Coming Back From the Dead Again. Please Clap. There are certain constants in the world of comic books that are so reliable and so predictable, you can damn near set your watch by them. Lying Cat will always catch you lying. Batman will always brood. Jean Grey will never stay too dead for too long. It’s about that time, folks. The Phoenix is coming back. It’s been a hot second since the original Jean Grey (not her time-traveling counterpart) has been alive and well enough to interact with anyone as a regular person. When last we saw her in Greg Pak’s X-Men: Phoenix - Endsong, a resurrected (duh) Jean managed to wrest an out of control Phoenix Force out of Emma Frost and convince it that she, Jean, was meant to be its one true host and partner. After bonding with the Phoenix again, Jean retreated into the White Hot Room to take some time and gather herself before setting out to search the cosmos for missing fragments of the Phoenix. Since then, Jean and the Phoenix’s exact state of being has been one of the more curious questions in Marvel’s books. 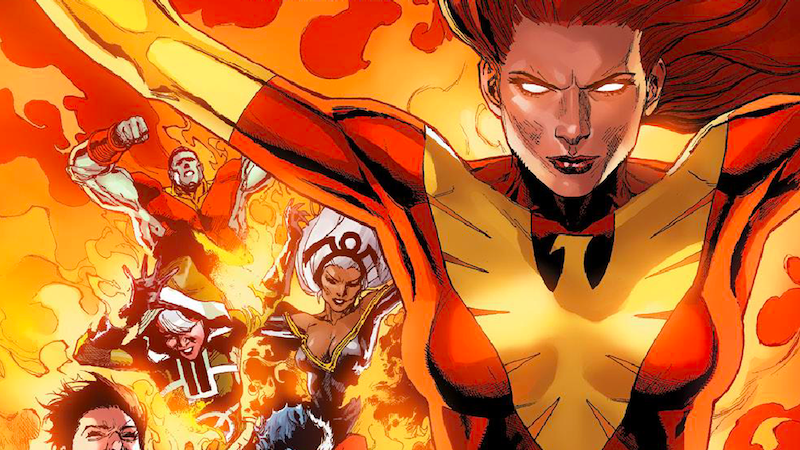 The Phoenix Force itself sans Jean has showed up more than a few times, bothering the likes of the Stepford Cuckoos, Hope Summers, Thor, and a time-displaced, teenaged Jean who’s been brought to the present but is already a different person than the Jean we’ve known. Though the Phoenix has been an active presence, Jean herself has been absent, but in this December’s Phoenix Resurrection written by Matthew Rosenberg and illustrated by Leinil Yu, the Jean Grey is making her latest return. Marvel’s being coy about the specific nature of Jean’s return or any hints at the new series’ plot, but one imagines that the adult Jean will come back, have a chat with her younger self, hang out for a while, then probably go insane again before she disappears into another dimension. Again. As repetitive as that all might sounds, you’ve got to remember that she is the Phoenix and this is what Phoenixes do. They live, they die, they do it again. Phoenix Resurrection hits stores December 27. How Does X-Men&apos;s Charles Xavier Leave His Own House?